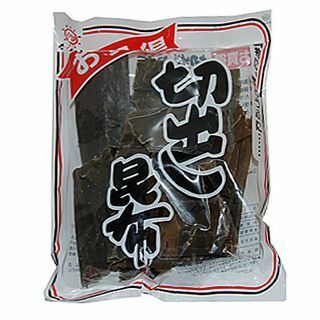 This document describes the current stable version of Kombu (4.5). For development docs, go here. Kombu is a messaging library for Python. The aim of Kombu is to make messaging in Python as easy as possible by providing an idiomatic high-level interface for the AMQ protocol, and also provide proven and tested solutions to common messaging problems. AMQP is the Advanced Message Queuing Protocol, an open standard protocol for message orientation, queuing, routing, reliability and security, for which the RabbitMQ messaging server is the most popular implementation. Allows application authors to support several message server solutions by using pluggable transports. AMQP transport using the py-amqp, librabbitmq, or qpid-python libraries. Virtual transports makes it really easy to add support for non-AMQP transports. There is already built-in support for Redis, Amazon SQS, Azure Storage Queues, Azure Service Bus, ZooKeeper, SoftLayer MQ and Pyro. In-memory transport for unit testing. Supports automatic encoding, serialization and compression of message payloads. Consistent exception handling across transports. The ability to ensure that an operation is performed by gracefully handling connection and channel errors. Several annoyances with amqplib has been fixed, like supporting timeouts and the ability to wait for events on more than one channel. Projects already using carrot can easily be ported by using a compatibility layer. For an introduction to AMQP you should read the article Rabbits and warrens, and the Wikipedia article about AMQP. (1, 2, 3, 4, 5) Declarations only kept in memory, so exchanges/queues must be declared by all clients that needs them. Fanout supported via storing routing tables in SimpleDB. Disabled by default, but can be enabled by using the supports_fanout transport option. AMQP Message priority support depends on broker implementation. AMQP Message/Queue TTL support depends on broker implementation. # so that the messages can be delivered. Exchange and Queue are simply declarations that can be pickled and used in configuration files etc. They also support operations, but to do so they need to be bound to a channel. Binding exchanges and queues to a connection will make it use that connections default channel. # the original exchange is not affected, and stays unbound. Producers sends messages to an exchange. Messages are sent to exchanges. Exchanges are named and can be configured to use one of several routing algorithms. The exchange routes the messages to consumers by matching the routing key in the message with the routing key the consumer provides when binding to the exchange. Consumers declares a queue, binds it to a exchange and receives messages from it. Queues receive messages sent to exchanges. The queues are declared by consumers. Every message has a routing key. The interpretation of the routing key depends on the exchange type. There are four default exchange types defined by the AMQP standard, and vendors can define custom types (so see your vendors manual for details). Matches if the routing key property of the message and the routing_key attribute of the consumer are identical. Always matches, even if the binding does not have a routing key. Matches the routing key property of the message by a primitive pattern matching scheme. The message routing key then consists of words separated by dots ( “.” , like domain names), and two special characters are available; star ( “*” ) and hash ( “#” ). The star matches any word, and the hash matches zero or more words. For example “*.stock.#” matches the routing keys “usd.stock” and “eur.stock.db” but not “stock.nasdaq” . You can install Kombu either via the Python Package Index (PyPI) or from source. Join the carrot-users mailing list. You are highly encouraged to participate in the development. If you don’t like Github (for some reason) you’re welcome to send regular patches. This software is licensed under the New BSD License . See the LICENSE file in the top distribution directory for the full license text. © Copyright 2009-2019, Ask Solem & contributors.